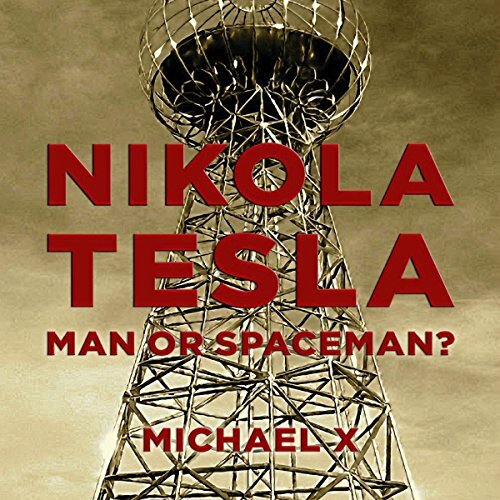 New Saucerian presents a classic tome from the dawn of the New Age: Michael X's Tesla: Man or Spaceman? In the usual textbooks, we are told we know who Nikola Tesla really was, but we are only told that he discovered the principle for alternating current (the ordinary AC electricity in your home). What we are not told is that Tesla also carried out experiments and devised plans for inventions not only ahead of their time, but which would also - even today - be considered "science fiction". During his latter days, Tesla became more and more secretive about his inventions, even to his close friends and students. It is alleged that immediately after his death, his files were seized by the CIA. These secrets were locked away, and have only recently begun showing up again, in the form of "propellantless" technology innovations touted by NASA. Along the way, many UFO researchers were "hushed up" or "silenced" by the MIB, simply for "knowing too much" about propellantless craft like flying saucers. Just who is making the money off of Tesla's many inventions today? Who is responsible for the abductions of scores of UFO witnesses and researchers? Was Tesla somehow getting ideas for his inventions from interplanetary or interdimensional beings?